Obviously everybody knows that the best Independence Day sees Will Smith save the world from an alien invasion. However, if you are looking for a good old fashion party with lots of tradition; the next best thing is visiting a country while they celebrate their national Independence Day. Here are our hot picks for Independence Day travelling. 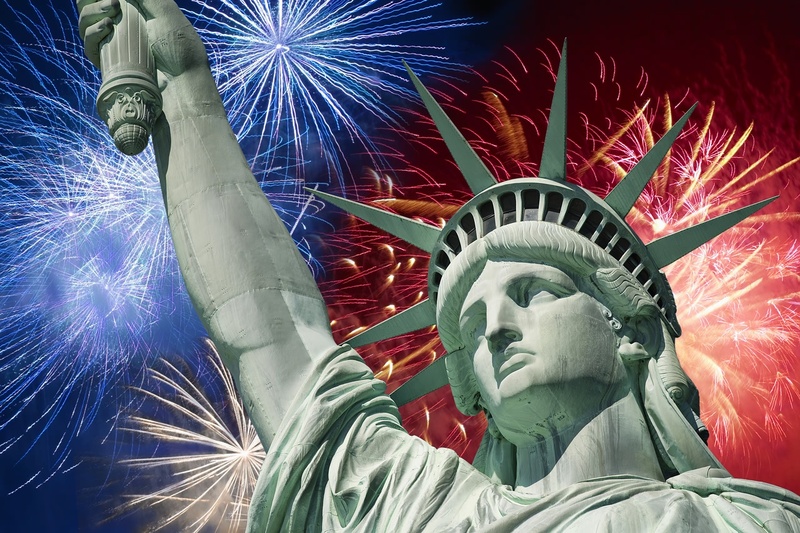 A date on the calendar everybody knows is July 4th; the United States Independence Day. In 1776, it was announced that Congress had signed a declaration of Independence from Great Britain. Now, it is a national holiday, and if you wanted to see all the positive aspects of US life, then Independence Day would be a fantastic day to do it. The first 4th July celebration was recorded in 1820 in Eastport, Maine, and this state still has the biggest celebrations. During the day, many families meet up and have barbeques, parties or picnics. There will be flags everywhere you go as well as Americans celebrate their patriotism. In the evening, many states hold grand firework displays. If you haven’t found a party to go to, New York City holds one of the major displays, as well as Lake Michigan in Chicago & Mission Bay in San Diego. Depending on what day Fourth July falls on, these parties may carry on into the weekend, so you’ll be sure to hit a celebration which takes your fancy. Colombia Independence Day marks the formation of the country’s first representative council against Spanish rule in 1810. The day is celebrated each year with national festivals centred on traditional regional folk and dance. Similar to the USA’s celebration of their independence – the festivities are very much centred around Colombia’s flag – so get ready to see many faces covered in yellow, blue and red! Every year, throughout the country, Colombians gear up to celebrate their country’s Independence - the anniversary of Simón Bolívar liberating the country from Spain. The events differ each year, but there are always concerts, parades and lots of colourful costumes. It truly is a South American party and all the best aspects of Colombian culture come out in full force such as the marvellous cuisine. The patriotic nation enjoys partying with feasts, traditional food, parades and festivities. Brazilians know how to party and the celebration of their independence takes jubilation to epic proportions. Around 30 000 Brazilians flock to the capital of Brasilia to witness a military parade with the president of the nation looking on. Brazilians also see Independence Day as the end of the summer, so they drink a traditional summer beverage of cocktails such as the Caipirinha, the official cocktail of Brazil. This drink is made from Cachaça, (fermented sugarcane juice), lime and sugar. As the many parades continue to wind down in Brazilian cities, towns, and villages, residents come out onto the streets to cheer, dance, and wave banners, balloons, streamers, and flags. Brazil’s flag is displayed on buildings or carried by individual Brazilians with great pride. Finally, in the evening, people gather in city squares and parks to see amazing fireworks in the clear skies that cover much of the country. Mexicans love a good party so when it comes to Mexican Independence Day you just know that the mariachi bands will be playing and the tequila will be flowing well into the early hours of the morning. Mexico celebrates their freedom from Spain over the course of two days in September (El Quince de Septiembre). All across the country, cities will be full of vendors selling everything from Sombreros and flags, to whistles and costumes, whilst the national colours of Red, Green and White will be displayed with great pride everywhere you look, including in your food! One of the many dishes you will come across in restaurants is Chiles en nogada which is green chilli peppers filled with a mixture of meats, fruits and spices called Picadillo, and topped with a white walnut sauce and pomegranate seeds. It is just one of many dishes which hold the national colours and are used to celebrate the day. Just as any celebration needs its food, the party would not be complete without some drink. The real party kicks off at 11pm, which symbolises the time when Mexico started a 10 year War for Independence. Many small clubs and bars offer Tequila free during the celebrations while it is also mixed into a punch made from fruits such as raisins and apples. If you don’t fancy hitting the hard stuff, Mexican beer (Corona or Sol) can also be found at bars and restaurants. September 16 is soon followed by general celebrations, and there will be many events to attend during the day, (which might help the Tequila hangover) such as rodeo events, parades and of course grand feasts. Independence Day in Mexico will definitely be a party to remember – or forget depending upon how much tequila you choose to consume. Viva Mexico! Independence days are fun, varied and educational. You are bound to learn a lot about the history and culture of the country you are staying in, if not a hangover to accompany you home!